Saving money by saving electricity is a no-brainer. Use less power, pay less. But EARNING money by saving electricity is taking it a step above and beyond. Of course your utility bill will be lower by using less electricity, but now you can also get actual cash, on top of the savings on your bill! When we moved into our northern California house a year and a half ago, we signed up for a free program called OhmConnect. I had heard about the program previously, but until we had our own utility bill, I couldn’t try it out. In short, OhmConnect is like cash back on your utility bill. When you save electricity during designated times each week you earn real cash rewards. In an average month we earn $30-$50, but during the month of August we earned over $90 just from reducing our electricity use during a few hours each week! Now that we’ve used OhmConnect for a year and a half and can vouch for it being a great program, I want to give you all of the details so you can start earning money too! Then, I’ll tell you why my kids love saving electricity with OhmConnect. OhmConnect is a free program that rewards you for reducing your electricity usage during certain hours. OhmConnect rewards households who proactively reduce power during a few designated hours called “OhmHours”. Having 300,000 people reducing their usage during the same hour when energy demand is high prevents extra power plants (which are expensive and bad for the environment) from having to turn on. It’s a win-win-win situation! The electric company saves money, we earn money, and the environment doesn’t suffer from turning on a dirty power plant. Who is eligible to earn monetary compensation? All homeowners and renters in California who have PG&E, SCE, or SDG&E are eligible. People in Toronto, Canada who get their power from Toronto Hydro Electric System are eligible. If you’re in Texas and you’re a part of Smart Meter Texas, you might be eligible too! If you’re somewhere else in the United States, you can participate, but you’ll win prizes instead of cash rewards. Whether or not you join to earn cash or prizes, or don’t join at all, here are a few ideas for saving money by just using less power. About once or twice a week, OhmConnect sends out a text/email to let us know that the following day there will be an OhmHour at a specific time, usually just one hour, but occasionally two consecutive hours. You can opt out of any OhmHour, but the default is that you’ll be participating. For each OhmHour you will be given a “forecast” of the amount of energy the power company expects you to use. For weekdays this is based on the past 10 weekdays during that same hour. For weekends, it’s based on the past 4 weekend days at that same hour. You “win” the OhmHour when you use less than your forecast. The amount of your reward will depend on how much less than your forecast your actual usage was. In the screenshot of my dashboard below, the gray bars in the graph show our forecast and the blue bars show our actual usage. Points are equal to a penny, so the OhmHour where we got 382 points means we earned $3.82. How do I start earning money with OhmConnect? When you first sign up you’ll be asked for your zip code. This is so they can choose the most likely power company for you (which you’ll confirm later). You’ll also put in your email address and create a password. After verifying your email address, OhmConnect will need to connect to your utility company. They need to see what your household’s forecasted usage is and know how much power you use during an OhmHour. At first I was a little intimidated by the process to connect my utilities, but it turned out not to be complicated at all! OhmConnect will send you a document that requires an electronic signature so that they have permission to see your utility usage. I had my husband read and sign the electronic document since he’s both a lawyer (in other words reading documenty documents is his jam) and the account holder (the utilities are in his name). What do you do during OhmHours? In the summer, there’s a lot to do during OhmHours because there’s still plenty of light outside. The kids will play outside or read a book inside. There are plenty of things on my normal to-do list that don’t require being plugged in. It’s not a whole lot different from normal life, except I don’t cook, do laundry, or use any plugged-in electronics. During the fall and winter, it’s often dark during OhmHours that happen in the evening. These are my family’s favorite! I make sure to plan dinner ahead of time so that I’m not cooking during the OhmHour because that uses lots of electricity. We usually have a candlelight dinner during the OhmHour which the kids LOVE! Sometimes we are out of the house completely for an OhmHour. When an OhmHour is scheduled for a time we’ll be gone, we make sure to unplug nightlights or anything that draws extra power. You don’t have to go extreme and turn off all of the lights like we do, but just being careful to avoid activities that require lots of electricity. Our kids never get upset about turning everything off for an OhmHour. They love it! 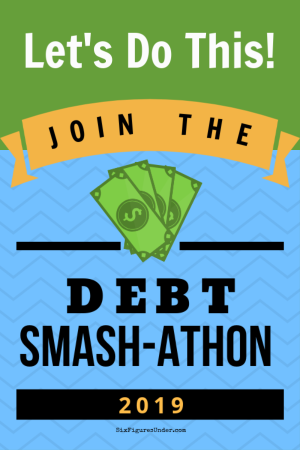 Just like getting out of debt, we frame OhmHours as a challenge that we’re tackling together. Since we all love games and goals, we enjoy working together to win our OhmHours. When we started earning money by participating in OhmHours, I told the kids that the money that we earned could go toward our family fun fund, a sinking fund where we keep money the kids work together to earn. Before OhmConnect, recycling plastic and glass that we would find on family hikes was the big money-maker, but OhmConnect has blown that out of the water! The kids love hearing the results of each OhmHour and love watching the money in the fun fund grow! If you live in California, Texas, or Toronto, you definitely want to get started with OhmConnect now so you can start earning cash. (If you’re somewhere else, you can still sign up to win prizes, just not cash yet.) I know you’re going to love OhmConnect too! It sounds cool, but the links get me to an error message and a login page. Do you have a way to link to an information page for people without accounts? This sounds amazing, but I’m on the East coast. Does it help me the same way?